Our boats have been out on the water a ton lately and things have been interesting. 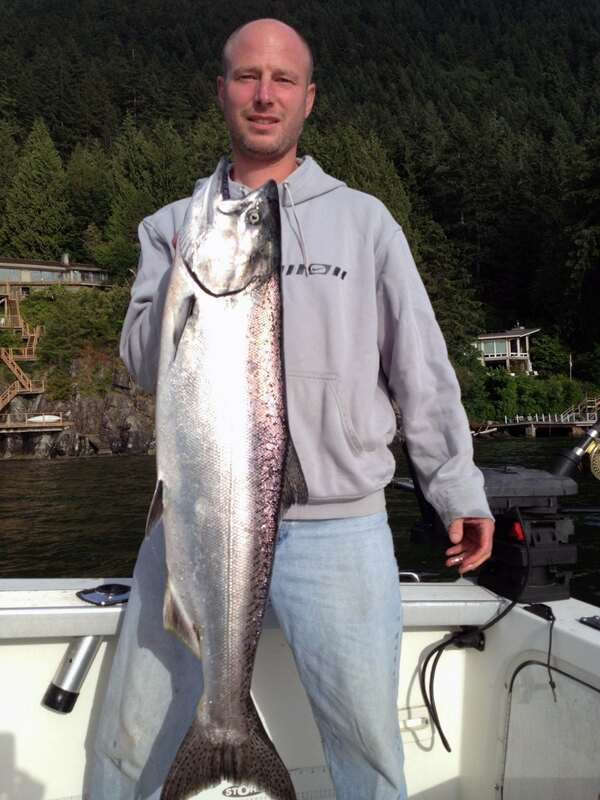 We had some amazing shallow water fishing off Bowen island last week with guys catching fish 20 ft below the boat! This is super rare for our local fishery and a result of lots of bait. 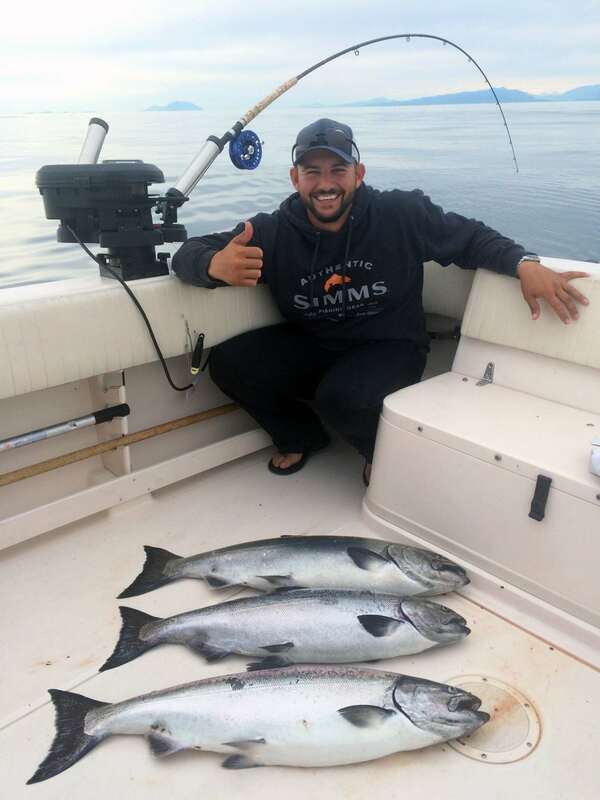 Another nice surprise has been the number of coho in the local waters. 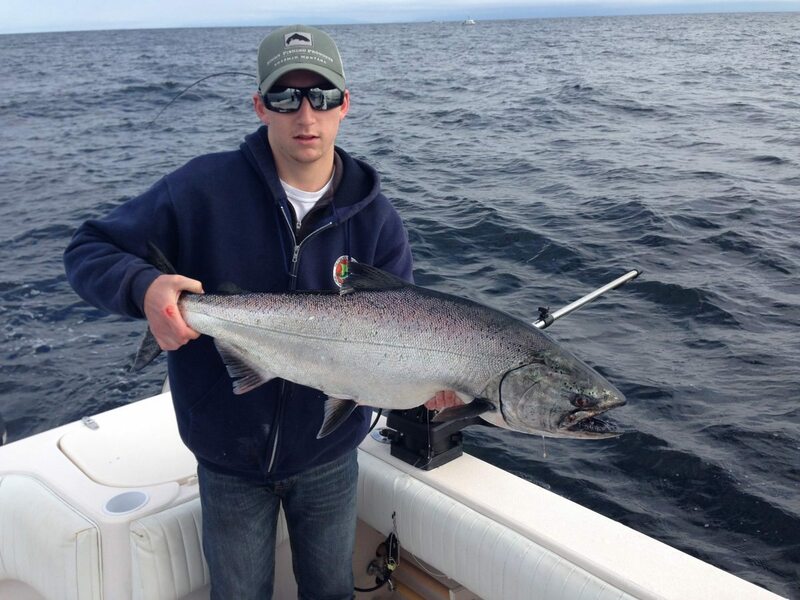 We have caught them on a number of charters and there have even been a few big ones! Their stomachs have been packed with anchovies so bait works but spoons like the 3 and 3.5″ Irish cream, homeland securities and skinny G’s have been top producers. 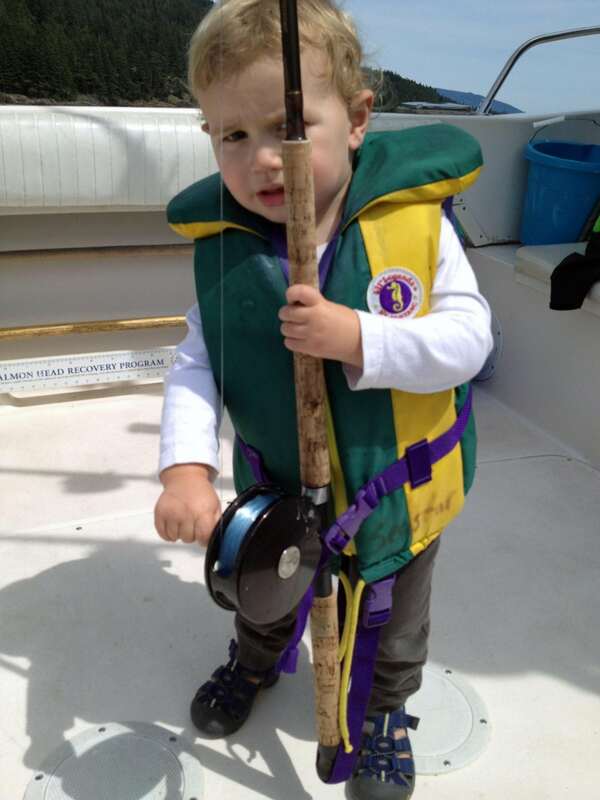 Though 20 feet is the shallowest we have caught fish, the hot depths are 40′ to 80′. With challenging weather last week and good local fishing, we did not go across the straight to Thrasher Rock. With better weather in the forecast you can expect most of the guide boats to be making the crossing. If you make it across, add spackleback hoochies into your arsenal. Hot depths there are in the 130′ to 230′ range. Looking to the weekend we are recommending Hole in the Wall, Tunstall Bay, Roger Curtis, and Cowen Point locally but if the bite has died off there is is prime time for Thrasher Rock. With better weather our guides are all itching to get across.